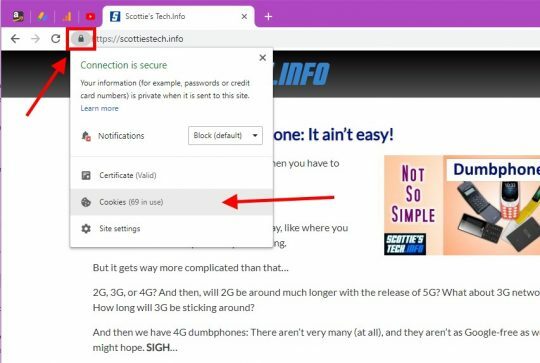 While Mozilla seems to be moving Firefox towards making it impossible to futz with cookies, Chrome seems to be making it easier. The fact is, even normal users need to delete a site’s cookies under normal circumstances. When a site won’t load, the first thing everyone says to do is clear your cache and clear your cookies. Well, I don’t want to delete ALL my cookies for ALL web sites if only 1 site is not working! Then I’ll have to log in everywhere again. So, Chrome really does get this right. So, first thing is to load the web site whose cookie(s) you want to remove. First, you click the padlock / Information symbol to the left of the URL in the address bar. In the popup window that appears, click Cookies. 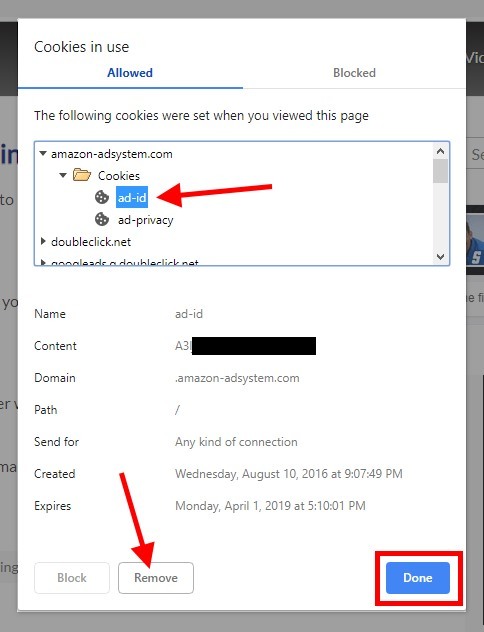 To remove an individual cookie, you need to select the domain for the cookie (like amazon-adsystem.com in this example). Click the Cookies folder to see the individual cookies present. Then, select the cookie you want to delete, and click the Remove button. DONE! Note that when you click each cookie, its full info is displayed at the bottom of the window. Well, okay, but what if I want to stop Amazon’s ad system from setting any cookies in the future? 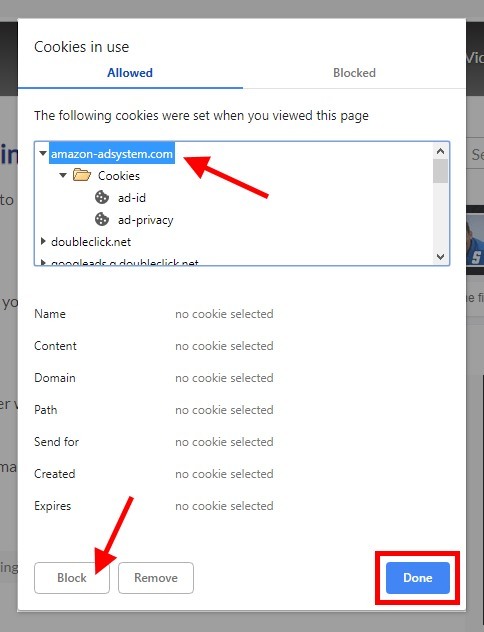 Instead of selecting an individual cookie, click the domain: amazon-adsystem.com. When you select a domain name, the Block button is enabled. If you’re wondering when you might actually need to do this, see: Add to Cart doesn’t work on Amazon… Help! I’m actually amazed that Google of all companies makes this so easy to do. It’s true that you can delete cookies for a site in Firefox. Thing is, Chrome puts all the functionality in one convenient location… including the ability to remove only 1 cookie, block all cookies, and view the contents of all cookies. Mozilla seems to think that cookies are sacred objects that the end user should not be able to view or delete without an add-on. Given how cookies actually work, that doesn’t make anyone safer – or any site more reliable. ← How to choose a dumbphone: It ain’t easy!